Yesterday brought a lovely evening to Seattle. 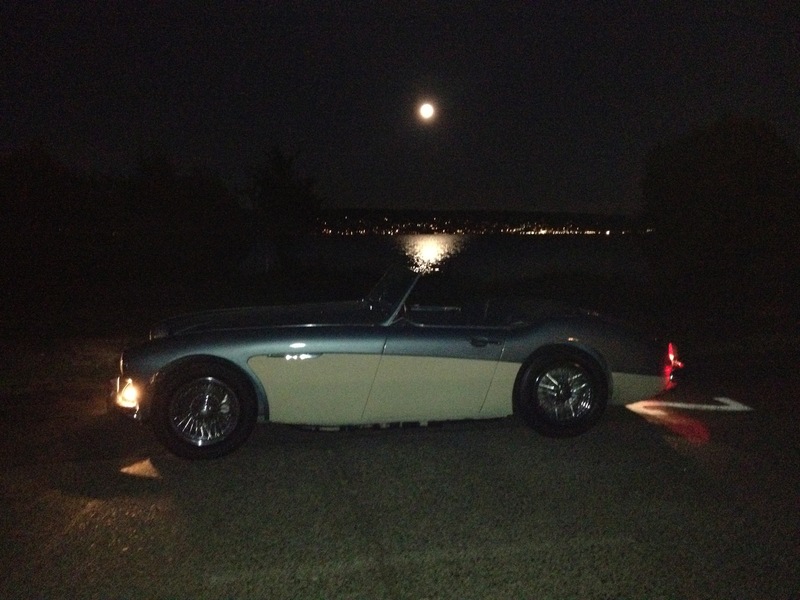 This necessitated taking a ride in the Healey. 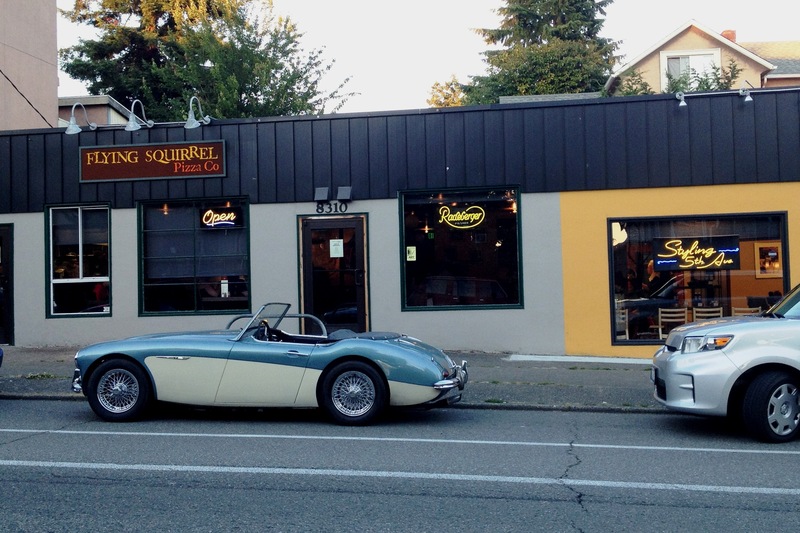 What better excuse for a Healey ride than a pizza run? There are few things in this world better than rumbling around in a sportscar on a warm summer evening. A full belly and a full moon inspired the shot above. I wish I had a real camera with me and not my iPhone; however the best camera is the one in your hand. This entry was posted in Daily Driver Projects and tagged 1960 Austin Healey 3000, Austin healey 3000, Automobiles, Big Healey, Fix it up and drive the hell out of it, The Healey. Bookmark the permalink.